Found 2 file extension associations related to Lands of Lore and 1 file format developed specifically for use with Lands of Lore. 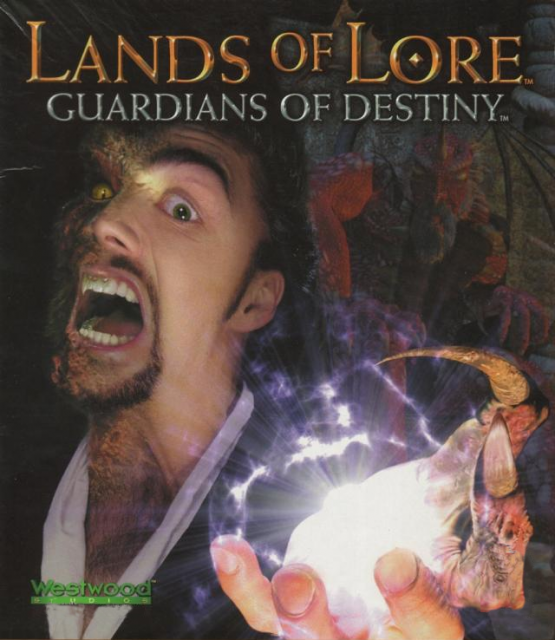 Lands of Lore, another gem from Westwood, is a fantasy RPG which follows the same path that the AD&D giants (Eye of the Beholder, Pool of Radiance, etc.) took to glory. It delivers solid entertainment, with countless hours of fun and action. But let's move on to the actual plot of the game. The Lands were once ruled by a race called the Ancients. They were all-powerful gods. The age they ruled over was known as the golden age, as the Drakoid chronicles tell us. During this time, the Ancients kept a steady peace. There was no want, and the people lived in harmony, as the Ancients provided for all. But the golden age would not last for long. A terrible war gripped the Lands, a war born of awesome power and evil wills. This was a war of dominance between the most powerful gods and would be known to history as the War of the Heretics. No higher beings survived the war; the Ancients succumbed. This left the people unattended, and they began reverting to a more primitive state. Without a strong hand to guide them, they began to act according to their base instincts. This was a dark period for the Lands, during which much knowledge was lost. The history of the Ancients soon became a myth and their reign a legend. However, nature took its course, and the people began to regain some of their lost knowledge. This was the time of the great travelers, but exploration meant racial wars. Uprisings began to spread across the Lands, plunging them into chaos. Many cultures were annihilated during this period, which lasted for nearly a millennium. Ultimately acceptance and tolerance between the four dominant races led to peace and the formation of the White Alliance. However, during the wars, magic had been set loose: magic unhealthy and nefarious. Soon this malicious magic found a home within the Dark One, leader of the dark army, and a terrible union of chaos and destruction was forged. Now the dark armies have gathered to attack Gladstone, a center for education and magic in the Lands, which has been staunchly defended by the White Alliance for three generations. Rumors speak of a dark power, which the seer Draracle has predicted will destroy Gladstone and the White Alliance. An emissary arrives at the Keep. He informs King Richard, ruler over Gladstone, that Scotia (an evil old hag) has found the Nether Mask. Richard is very disturbed by the news and is bent on destroying Scotia. Meanwhile, Scotia has also dug up a magical ring enabling her to transform into any shape she chooses. Now more powerful than ever, she vows to make Richard pay. After this short intro movie, the game prompts you to choose a champion to defend Gladstone and serve the king. You can choose between a magician, a fighter, and an assassin, or play as a warrior who is a mix of them all. Once you have selected your character, King Richard orders you to come to the throne room. After wandering beside the castle walls for a while, you find His Majesty and receive your orders: you must retrieve the Ruby of Truth from Roland’s estate in the South Lands. Now your quest really begins. During the game, you will team up with different characters in your quest to kill Scotia. Gameplay is mouse-based, which really makes the interface easy to use. The game’s graphics are characteristic of Westwood - hand-drawn and very beautiful. It is clear that when the team set out to make another RPG (after Eye Of The Beholder), they were aiming to create a masterpiece. The game has speech and sound effects included. King Richard is voiced by Patrick Stewart, who is simply marvelous. The rating of 5 needs no further justification. If you need more information please contact the developers of Lands of Lore (Electronic Arts, Inc.), or check out their product website.